Stillpoint's Third Chakra blend, Forza, means creation. This blend was formulated to assist in creating and strengthening your personal power and core being. 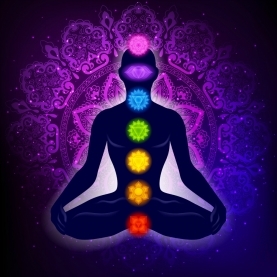 The third chakra deals with primarily our Personal Power and using it in a balanced way. This chakra assists in the process of individuation, of forming a "self", ego, and personality different from our inherited identity. It also deals with the development of self esteem. It also deals with dream time and distributing energy throughout the body. This chakra is also known as the Solar Plexus Chakra or Manipura. This chakra also mediates between the external and the internalization of consciousness.